By now, many homeowners have begun to compose a winter to-do list of chores that must be accomplished before the cold sets in. One of the chores that should be at the top of this list, right next to window inspection and/or replacement, is replacing faulty, inefficient siding. Doing this can make a huge impact on whether your house is protected against the elements or it is vulnerable to the cold, wind, etc. It can mean the difference between your home being an eyesore or a shining gem in the community. Finally, it can mean the difference between paying a small fortune in heating bills and saving money. So whether you have wood siding and are tired of painting or seeing your older warped, vinyl siding cause your house to be an eyesore, we present 5 telltale signs your siding may need to be replaced. 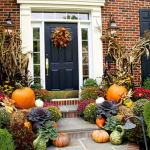 Warped or Rotted Siding: Take this time of year to inspect the integrity of your siding. If it appears to be rotted in some spots it is a definite time to start thinking about replacing your siding. Increased Cooling and/or Heating Bills: Many factors can contribute to higher energy bills such as poorly insulated windows, a faltering HVAC system and of course, damaged or old siding. Additional insulation and new siding can make all the difference in the world, both in terms of eliminating drafts and saving you money on heating and cooling. Moisture and mold: Mold can be particularly destructive to old, wood siding. Because wood is porous, it is difficult to have mold removed from it. Also, mold poses various health hazards to you and your family. Bubbling: Bulges under your siding is a sign that water is damaging the structure underneath it. Good, efficient siding should protect your frame from excessive moisture and rain. Chipping, denting and cracking: Severe weather can be destructive to old, worn siding. New siding has a greater resistance to adverse weather conditions and it beautifies and adds value to your home. We count on our home’s siding to do quite a bit. It protects us from hot sun, bitter cold, harsh wind, and precipitation to name just a few elements. That’s quite a tall order. However, Chesapeake Thermal can meet that order. 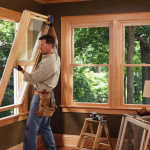 Whether you are considering replacing your windows and need a window estimate, or are considering glass doors in Maryland or it is time to change your siding, our family owned business can meet the challenge.